It's not very often that I get to blog about two awesome shows at the Parish in one week. As you know, I love the Parish and it saddens me that it's being under-utilized. Well, this week they've got Real Estate on Wednesday night and Holy Ghost! on Thursday night. Two very different types of show but also two really great shows. This, Brooklyn-duo's, latest release is a single out on Green Label Sound for the song, I Wanted to Tell Her, which is a brand-new take on the Ministry classic. They also have a full-length, eponymous, album that came out on DFA Records this year, as well as an EP for the song, Hold My Breath. In other words, they have been very busy and they have been on the road a lot. Thursday night's show is going to be an effing party, so if you want to start your weekend early, I suggest you grab yourself some tickets. Or, will you be the lucky person who wins a pair of tickets via Austin Bloggy Limits? All you have to do to win is send an e-mail with "Holy Ghost!" 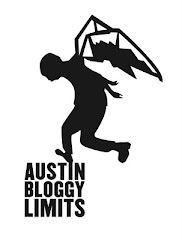 in the subject and your name in the body to contest@austinbloggylimits.com. One name will be chosen at random to have their name on the list with a +1 to Thursday night's show. You will be notified by email on Wednesday afternoon if you HAVE won.